One of the sea changes in academic life sweeping a growing number of OECD countries is the legitimising of applied research, for so long regarded as the poor relation of ‘pure’ academic research and theorising. Indeed, such research has increasingly been demanded by official and non-governmental funders in the name of ‘relevance’ in recessionary times when theoretical or ‘blue skies’ research has become viewed as frivolous or unaffordable. By contrast, applied research by many academics in the global South has always been normal and perhaps even essential as a supplement to low university salaries. In principle this has given Southern researchers a head start in competitive bidding for such work, especially in partnership with Northern institutions more experienced in the complex bureaucratic grant application stakes. One aspect of this phenomenon is that researchers are commonly now required to include ‘impact statements’ of how they expect their work to produce measurable outcomes in addition to planned outputs in their funding applications. These statements then form a key part of post-project evaluations. These new applied demands have often caused consternation either at the principle of more narrowly defined research performance criteria or the instrumentality and inappropriateness of some of the required metrics. Perhaps the most extreme form of such top-down prescription is the way in which the 2014 Research Excellent Framework septennial assessment of UK university research comprised one section on impact, which was defined in a way far more suited to linear industrial innovation and production processes than the complexities of social and multi- and transdisciplinary sustainability science, in which unpredictability is a central feature. For a fuller discussion of these issues, see my recent co-authored article, ‘Crossing boundaries: Complex systems, transdisciplinarity and applied impact agendas’ in the journal, Current Opinion in Environmental Sustainability (http://dx.doi.org/10.1016/j.cosust.2014.08.007). Despite these sometimes formidable challenges, ideal opportunities to undertake focused sustainability research which combines intellectual and applied dimensions may present themselves unexpectedly. One example is the process of developing and formulating the set of 17 Sustainable Development Goals (SDGs), which are intended by the UN to replace the Millennium Development Goals (MDGs) from January 2016. Unlike the MDGs, which applied only to poorer countries, annual reporting on the SDG targets by means of sets of indicators for each will be required of all countries. Another innovative feature is the inclusion of a goal (no. 11) addressing urban sustainability, the more significant because it acknowledges the importance of urban dynamics and development to overall national and systemic sustainability. Although because of UN system rules, national governments will be the reporting authorities, local authorities will inevitably play important roles in data collection and upward reporting to the national level. Last September, I took up a new position as Director of Mistra Urban Futures (MUF), a Gothenburg-based international research Centre on sustainable urbanism that works through transdisciplinary co-production partnerships in Gothenburg, Greater Manchester, Cape Town and Kisumu. This way of working and the golden opportunities to undertake systematic, applied comparative urban research across these research platforms provided important incentives for me. Even before my contract commenced, I was asked to host a key workshop in London of the Urban SDG Campaign group that MUF had decided to fund. This event was one in a series preparing the targets and indicators for Goal 11, To make cities and human settlements inclusive, safe, resilient and sustainable. The challenge is immense: working through the New York-based and UN-appointed Sustainable Development Solutions Network (SDSN) charged with developing the SDGs as a whole, UN Open Working Group and the global alliance of mayors to formulate a set of globally agreed targets and indicators is politically delicate and practically challenging. Unlike in health, education and other sectors, there is no internationally agreed definition of what constitutes an urban area. Instead, most countries have their own definitions that reflect local urban and planning history, colonial inheritances, administrative and institutional arrangements, socio-cultural traditions and political conditions. Following three days of intense debate and as our workshop outcome document was submitted to SDSN, it occurred to me that no amount of work in a vacuum by an international group of academics, NGO, UN and local authority planning staff was going to be able to identify and get political acceptance of a suite of such technical indicators that would be both practicable and helpful in promoting sustainability transitions in the huge diversity of urban areas worldwide. Hence it occurred to me that our four local platforms might provide ideal testing grounds for the targets and indicators since they are all secondary or intermediate cities located in very different geopolitical, geo-economic and socio-cultural contexts and together constitute a sample reasonably representative of the diversity of our urban world. Eventually Bangalore, a multimillion city but by no means the largest in India and where Aromar Revi, the co-chair of the USDG campaign is based, was added for yet greater diversity. Mistra and the Swedish International Development Cooperation Agency (SIDA) agreed to fund the pilot project, which is current running across the five cities and providing invaluable feedback. Unsurprisingly, there is very little on which all five cities appear to have data to hand, the capacity to collect it cheaply, or agree on the relevance or importance of individual indicators. The individual city reports are due for submission by the end of this month, followed rapidly by the project’s final report. A draft will be presented at the next USDG campaign workshop, to be held at MUF in Gothenburg from 8-10th June, and where the findings and implications will be mulled over. Revisions to the current draft set of targets and indicators will be directly informed by these research results, and will then be forwarded to SDSN for the final stages of negotiations over the northern hemisphere summer. The full set of SDGs, targets and indicators will be announced by the UN Secretary-General at the General Assembly in New York at the end of September, and are due to come into operation on 1st January next year. Whatever the final outcome and whatever one’s view on the utility of the MDGs and SDGs, the experience has been fascinating and exemplifies how carefully tailored and contextualised local comparative urban research can provide fine-grained data and qualitative findings that can be fed upwards into national and international sustainability initiatives to ‘ground truth’ and balance the otherwise predominantly top-down nature of such target setting and reporting that may well not sit well with diverse local contexts, conditions and capacities. 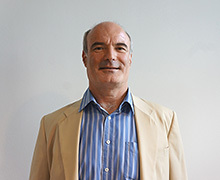 Dr. David Simon is Director of Mistra Urban Futures, Chalmers University, Gothenburg, and Professor of Development Geography at Royal Holloway, University of London.